Floor Tape Application Machine. Applies widths up to 4" wide. 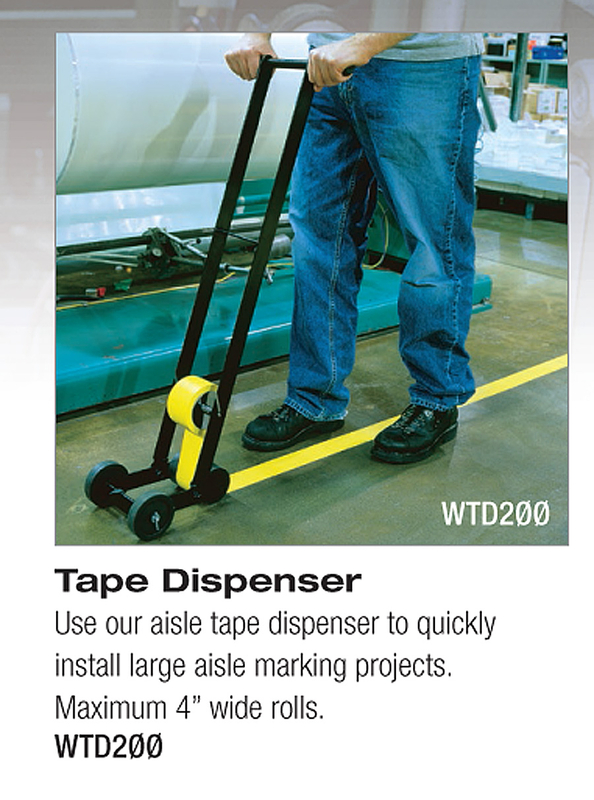 Uses tape rolls that have no release liner such as our pavement/floor aluminum tape or our vinyl floor tapes. Easy to load. Just load the roll on the top roller and pull the tape down and underneath the larger roller that touches the floor. Then push the machine to apply the tape. After the tape is laid down, press it in with a bouncy rubber tire. Rough surfaces require more pressure than smooth surfaces. Tape Application Machines run $175 each. Note - Application machine lays down the tape very efficiently. For a successful application you will still need to press the tape in very well after the machine lays it down.